Tezz, the upcoming action movie of bollywood will feature very special stunts and action scenes in exclusive locations of England. The action thriller will break the long term monotony of romantic hits and comedy films which is going on after the release of ra one and shor in the city which were somewhat thriller but not totally action oriented. Moreover, the early release of tezz in comparison to hate story and dhoom 3 gives rise to the chances of successful launching of the movie. 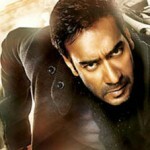 Two big stars of bollywood are playing the lead role in tezz, ajay devgan and anil kapoor. As, it is the well known fact that an action movie bears very low scope of exclusive appearance of lady leads, tezz is also not the exception. Kangna ranaut and sameera reddy will be seen in the whole new approach in tezz. The movie revolves around the action and stunts of ajay devgan and anil kapoor mostly and is based on a exclusive representation of the simple story. Tezz has been produced by ratan jain and directed by priyadarshan. The music and songs of Tezz movie is composed by sajid wajid while the screen play is handled by robbin bhatt. The music of the movie has been launched on 30th march, 2012. The story of tezz is based on the fight of two powerful persons to remain the winner and to meet their own goal. One of them is unhappy with the things went wrong in his life. He is committed to bring back whatever he lost or in more clear words, that has been took away from him unjustly. He worked in the way to attain his goal anyhow while the other person who was committed to serve justice stops him to do whatever he is intended to do. Both of them fight with each other and go against the time to accomplish their purposes. The most interesting part of the movie comes during the climax when lives of ajay devgan and anil kapoor both are held by the train going to London from Glasgow. The condition rises in the way that only one of them can be successful to save its life, interestingly. As the train holds the fate of both actors of the movie at last, it was named as bullet train earlier; later the name was replaced with tezz, on the basis of leaders’ outstanding and swift, beyond the time actions. The shooting of tezz was carried out in various locations of England exclusively, as per the demand of the story. The beautiful shots and stunts have been picturized which would entertain people in a special way. The expected release date of tezz is 27th april, 2012. The time when the movie has been decided to release is highly appropriate for the success of tezz as there is no big release before and after till 1st june when talash of aamir khan will go on the floor. Tezz is being released prior to the most awaited talash of aamir khan. It is a beneficial point for tezz as if it would be released along with talash, the spectators croud would have kept that one in priority, no doubt. The name of priyadarshan is self sufficient to pull the viewers’ interest towards a movie. Priyadarshan is a well famous director for its elegant representation and leaving a useful message in the climax of the story. Tezz is an excellently produced action thriller to show people some mind blowing stunts. Gareth milne, the stunt choreographer of tezz did a fantastic job in the movie representing some innovative stunt scenes. The two leading actors of tezz have the well established reputation in the industry for their excellent job and amazing talent. The most interesting fact about the story that none of them is playing the role of villain and both are fighting to each other for their own purpose.